Looking for a little backcountry adventure with gorgeous views? 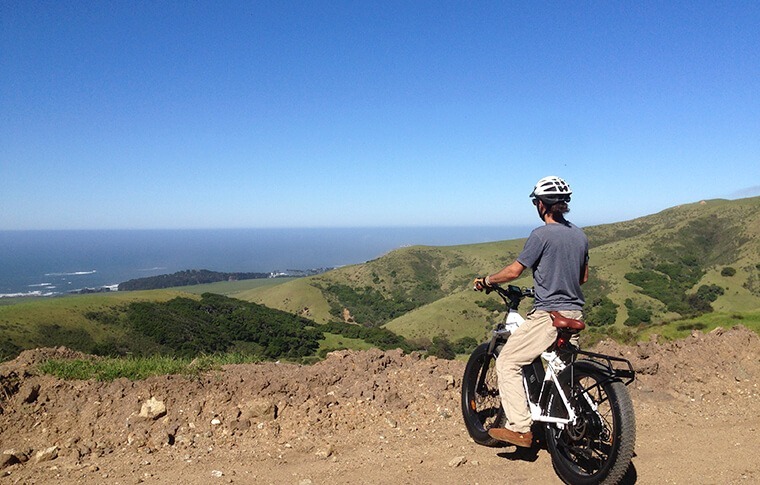 Take an e-bike ride with us on the Old Coast Road Tour! 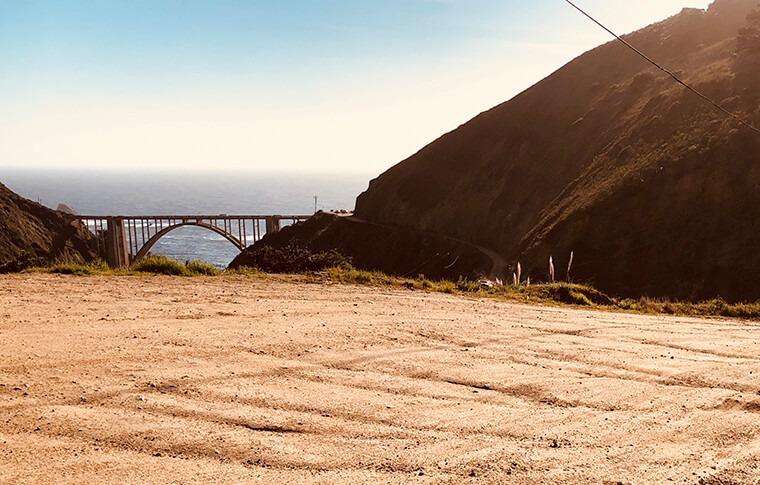 This tour is only available on demand, and it follows the original wagon trail into Big Sur. 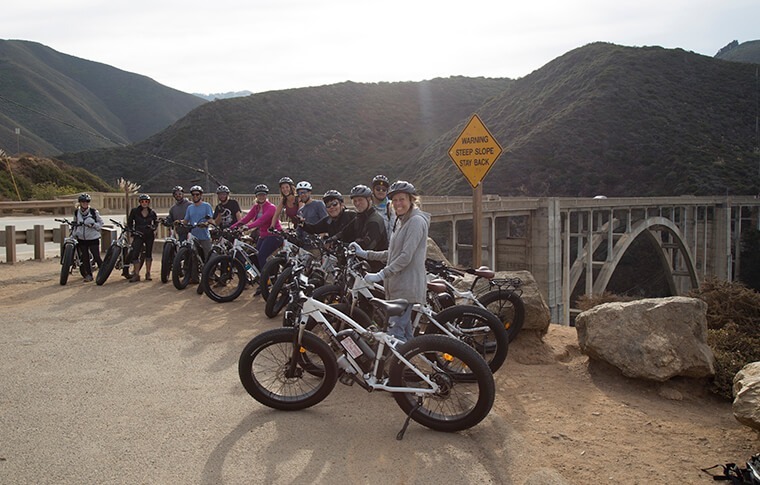 We have a minimum price tag of $500 per tour due to the logistics of arranging shuttles and transporting the bikes. Contact us to discuss arrangements and pricing for fewer than four riders. Intermediate. Pedaling is required for this tour. Contact us to discuss arrangements and pricing for fewer than four riders. 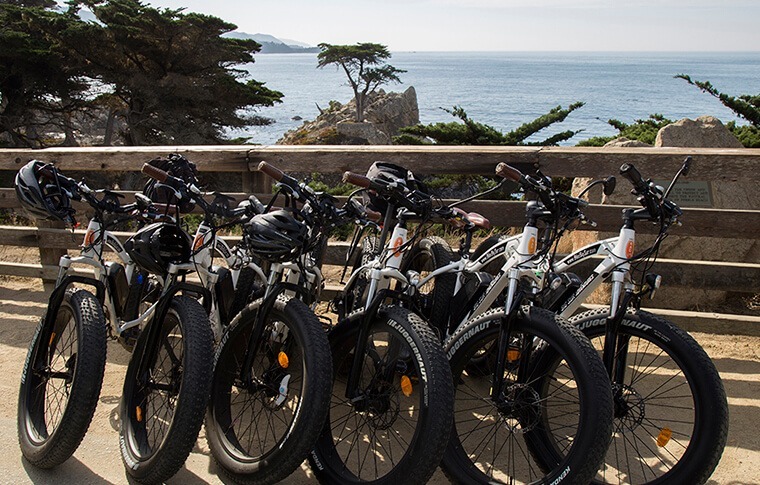 Oftentimes we can arrange for rentals with a guide in a vehicle to carry both the bikes and riders back to the starting point. If only one person is booked for the tour, he or she can ride at an increased cost. For groups larger than six, please call ahead to set up a tour. 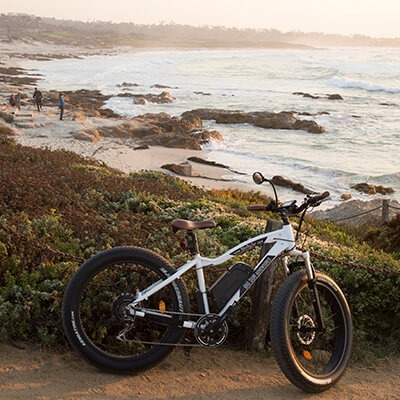 Meet us at the entrance to Andrew Molera State Park, where we’ll introduce you to the e-bikes, give you a safety briefing, and begin our trek. 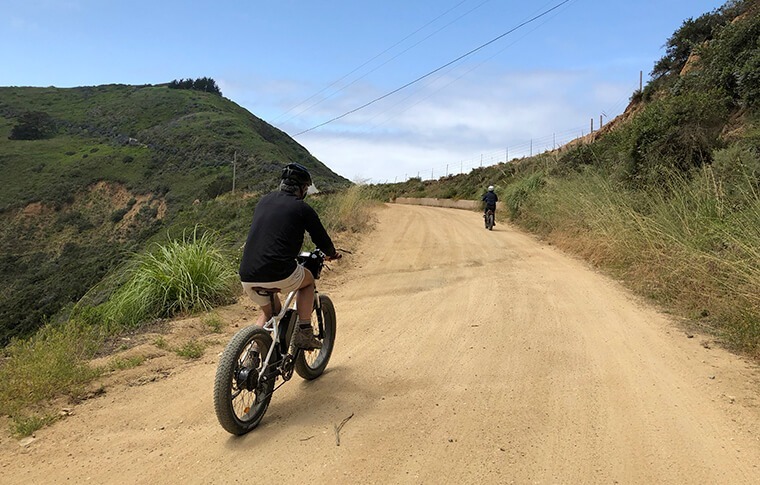 We’ll climb the mountainous terrain with the help of our 750 watt motor, taking a moment to stop for amazing views of the Point Sur Lighthouse. The road then dips into the backcountry, taking us through the trees. 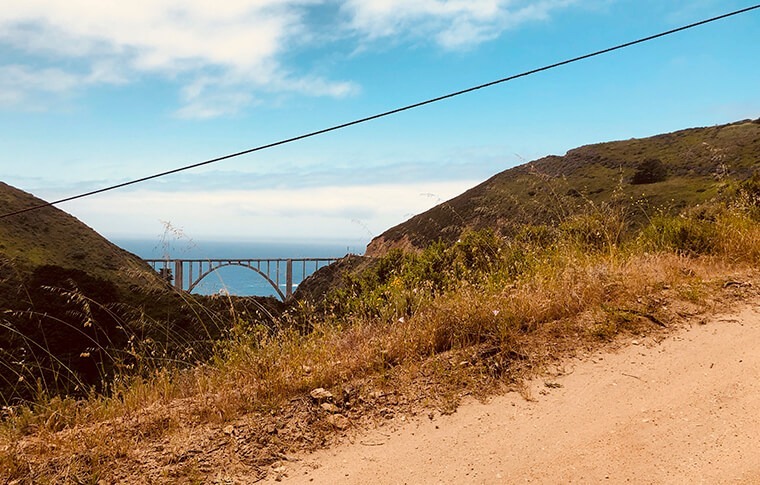 We’ll cross Little Sur River on a small wooden bridge before starting a steep climb back up a mountain behind Bixby Canyon. You may be thankful for the bike’s motor at this point! 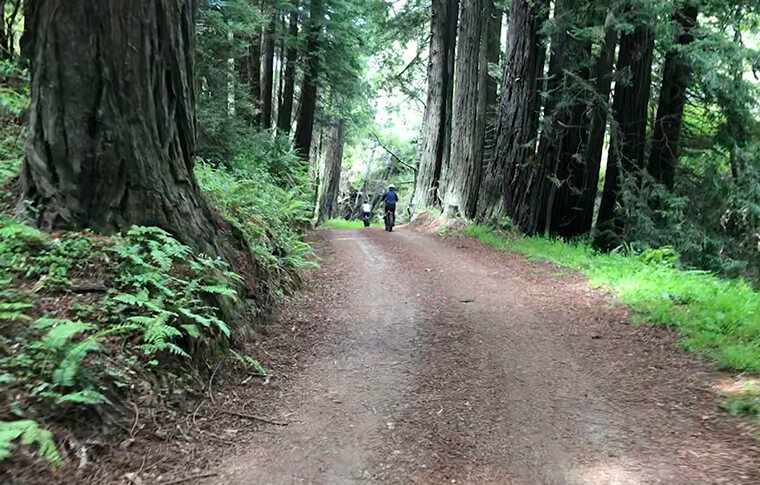 The last leg of the tour involves a long descent through the redwoods with one more steep climb ahead of us to Bixby Bridge as our final stop. Here you can take photos to celebrate the journey before we shuttle everyone back to their cars. The full ride is 10 miles and lasts approximately 3 hours. 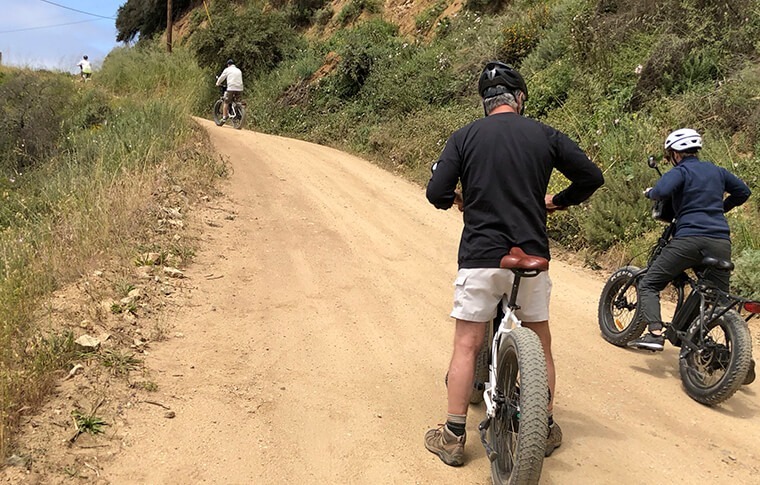 This excursion involves long, steep climbs and takes place on dirt and gravel roads. Due to this, the tour is considered an intermediate level of difficulty. Your guide will carry satellite communications at all times. We have a minimum price of $500 per tour (4 riders). 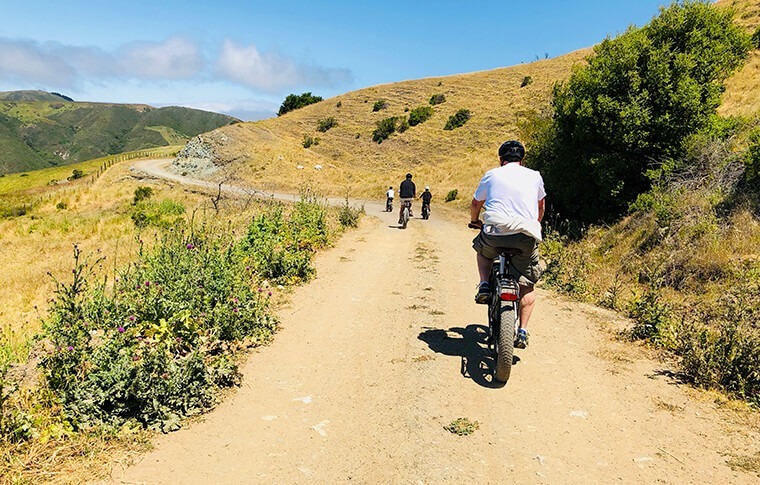 For fewer than four riders, we may be able to arrange for rentals with a guide in a vehicle to carry both the bikes and riders back to the starting point. Please contact us to discuss. This was an amazing experience. 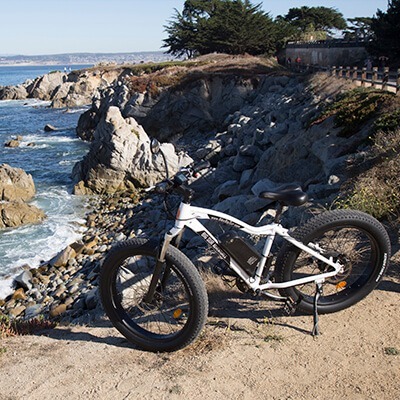 The best way to experience California’s coast. Magnificent views of the ocean, mountains and redwoods. The ride was exhilarating and the highlight of my California trip. 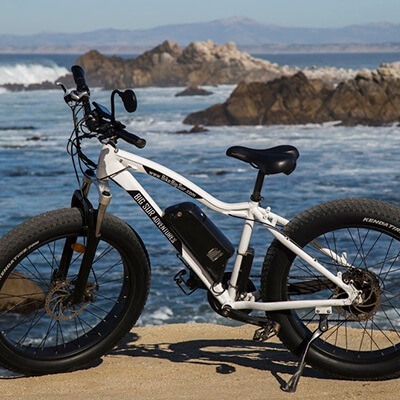 We had a terrific tour with Jonathan on a very blustery afternoon and would never have been able to do it without e-bikes. They were easy to use and we could go so much further! Enjoyed every minute, plus great restaurant and bar recommendations from a local! Fantastic experience even with an unusually cold Labor Day weekend. Joaquin was a fantastic knowledgeable guide and the experience is well worth the money.